In a determined attempt to maintain the unity of the Kingdom, not altered since 1976, Spanish Government and High Courts continue to explore new mechanisms to fight Catalan separatist ideology. These mechanisms include steps to impede the re-election of the deposed regional government, legal proceedings for ideology crimes, or administrative actions against the current use of Catalan language in schools. All these special measures are part of a coordinated effort of the executive and judiciary aimed at demoralizing political opposition in Catalonia. Such coordination is explained by the fact that judicature in Spain is not an independent body. Congress and Senate – dominated by ruling Partido Popular – directly appoint all members of Constitutional Court (Tribunal Constitucional), the General Council of the Judiciary (Consejo General del Poder Judicial) which in turn designates all judges of Supreme Court and the fearsome Audiencia Nacional – a special Tribunal considered by some the historical successor of Francoist Tribunal de Orden Público, created after the abolition of the Special Tribunal for the Repression of Masonry and Communism in 1964. Audiencia Nacional is responsible for the preventive imprisonment of political leaders after the last Catalan referendum and declaration of independence. The fact of matter is that a majority of judges of Spanish High Courts has a straightforward political association. This is the case of the former president of Constitutional Court until last year, Francisco Pérez de los Cobos, who was a full member of ruling Partido Popular. Although current CC president does not hold a membership, he has also been appointed by the ruling party. In last Catalan elections – called with main Catalan leaders either in jail or in exile – separatist parties revalidated their majority in the suspended regional parliament. Partido Popular, commanding regional administration after the suspension of the so-called autonomy, obtained four out of 135 seats. But regardless of these results, agreement is not an option for Spanish government. After the imprisonment of political leaders and members of the regional government responsible for the banned referendum of self-determination, Spanish government filed an appeal to Constitutional Court against the candidature of Carles Puigdemont, who was to be re-elected as President of Catalonia, since no other MP could obtain sufficient support in the so-called autonomous Parliament. The appeal was filed despite the advise of Council of State – a Spanish body resembling an attorneys general Office. In its advice, it said that no appeal can be made against something that hasn’t happened yet. Notwithstanding this recommendation, the appeal was filed a few hours later. 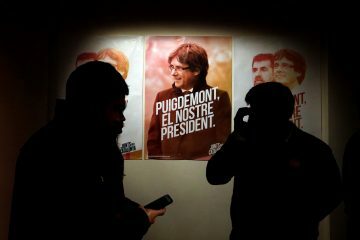 The day after, in an unprecedentedly expeditious decision – taken on a Saturday – Constitutional Court, instead of handling the appeal in a conventional way, decided to dictate special measures to be followed by Mr. Puigdemont in order to be re-elected. 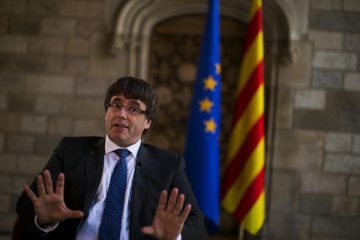 The measures include an appearance before Mr Llarena, the Supreme Court judge who maintains the arrest order for Puigdemont despite having withdrawn the International warrant against him. This happened just before a Court in Belgium – where the deposed President resides – had to decide about the case, as mentioned in the last article. As stated by the independent Ombudsman of Catalonia, and President of the International Ombudsman Institute, Mr Rafael Ribó, the measures enforced by the Constitutional Court are highly irregular and may have gone beyond the current legal framework. Mr Ribó is not linked to the separatist movement and was re-elected in 2010 by 87% of the seats of the regional parliament. In his statement, he considers that Spanish Constitutional Court has violated both rule of law and the jurisprudence of the European Court of Human Rights. Amid this controversy on the President election, more than nine hundred people are being investigated for acts related to separatism. Former Catalan president Artur Mas and late members of his government have been banned from holding office and fined €5.2 million for holding another referendum back in 2014 – that one declared as symbolic. Despite the fact that a referendum was included in the political programme of the parties wining the election, Spanish authorities charged them with misappropriation of public funds. Although not stated in the sentence, one cannot help wondering if the misappropriation was owed to the fact that the 2014 referendum was not binding. After last year’s referendum, 712 mayors have been called to appear before a judge over allowing to use municipal facilities as polling places. Some of the accused could not access the case files before nor during their appearances. None of them has been charged so far. Among the people prosecuted after the referendum, there is an auto-mechanic accused of a “hate” crime for refusing to fix a Spanish National Police vehicle after the charges that took place during the referendum in October 1st. Although hate legislation is specifically aimed to prejudices of race, gender, religion, belief, disability or sexual orientation, the mechanic is facing a sentence of up to four years of imprisonment. We have to bear in mind that about twelve thousand National police officers and military policemen -known as civil guards – from the rest of Spain were deployed to Catalonia to physically prevent people from voting (by a curious twist of a fate, this figure equals the number of medals bought this year by the Spanish government – costing €272,000 to tax-payers – to award law enforcement forces). The operation was not trusted to the regional police of Catalonia and was commanded instead by Colonel Diego Pérez de los Cobos, brother of the mentioned president of the Constitutional Court and son of a candidate of the far right wing party Fuerza Nueva. While he was a civil guard – back in 1997- he had been charged and acquitted for torturing a detainee. Incidentally, the UN Committee against Torture considered, in its 2005 decision, that in the circumstances of that case “the imposition of lighter penalties and the granting of pardons to the civil guards are incompatible with the duty to impose appropriate punishment”, violating Articles 4 and 2 of the Convention against Torture. In contrast with the methodology used by Spanish police forces to shut down polling places, Major Trapero – who used to command the Catalan regional police – just sent regular police patrols to seize ballots without the use of violence. He has been deposed by the central government and charged by the above-mentioned Audiencia Nacional with sedition crimes for not doing enough to prevent people from voting, as well as for not stopping a demonstration some days before. Although sedition, according to Spanish Law, requires a public uprising, there is no specification of such an offence in the judicial file. Instead, judge Lamela states that there are recordings showing that some regional police officers refused to use violence to confiscate ballot boxes and to prevent scrutiny. 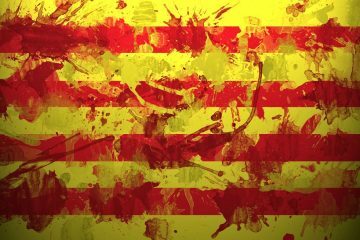 Months after the Spanish police operation tried to stop the Catalan referendum, eleven high school teachers are facing prison sentences for allowing class debates about those events. Some parents who are military policemen, said their sons were bullied by their classmates as a consequence of the debates. Again, hate legislation is intended to be used in the most odd way. In yet another case, a councillor of a small town has also been charged with a hate crime after standing next to a military policeman with a clown nose. He and other people had reported to the local police having being beaten during the referendum. Footage supporting their claims has been neglected so far by the judiciary. It is sadly ironic that just when former chief of Catalan police is being charged for not using violence against citizens who used passive-resistance, violence used against the same citizens is not being investigated. But the proceedings took a further step when, according to a recent police report, the yearly demonstrations held each September 11 – since 2012 – should be treated as “rebellion” crimes. In the demonstrations, hundreds of thousands of people demanded independence from Spain. Most criminal proceedings against separatism have been based on similar reports made by the judiciary police, depending on the Spanish military Guardia Civil. Its chief in Catalonia, Mr Daniel Baena, as the Spanish online Newspaper Publico has recently published, has been using a Twitter alias to show strong animadversion against Catalan separatism. However, judges continue to sustain accusations using reports written by Baena’s office that contain no facts related to the charges being prosecuted. Although no sentences have been dictated yet – and despite the absolute lack of evidence on the crimes being prosecuted – two political leaders and two former cabinet members remain in prison since October, and hefty bails have been set for six Members of Parliament. Numerous legal experts denounce that the Court that dictated these measures – the Audiencia Nacional – has no competence to exert jurisdiction over sedition crimes. In parallel to the legal proceedings against separatism, Spanish government has disclosed its newly planned measures to stop the so-called language immersion, that was aimed to guarantee that every student could become bilingual after finishing compulsory education. Although language immersion policies have had an overwhelming support of the regional Parliament in the last decades, this reform is intended to be either a punishment or a revenge against the millions of people who supported independence. 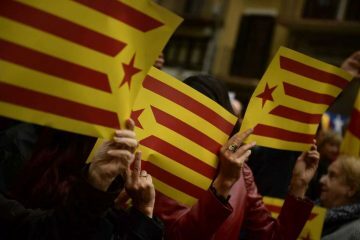 The fact that most of the arrested leaders have been released, and that no further proceedings have been commenced against the seven hundred twelve town mayors, shows that Spanish authorities can only aspire to a small number of exemplifying sentences to bring down the separatist movement to its knees. A mention should be made here on the uselessness of the Spanish Senate in any other issue rather than electing members of the High Tribunal, suspending so-called autonomies, or acting as a hindrance for a Constitutional reform. Although called a “Representative Chamber”, the majority of the Senate is elected using the old provincial constituencies. Each of the old 50 provinces elect four senators, regardless of its population. Then each “autonomous” region elects an extra senator plus another one for each million inhabitants. 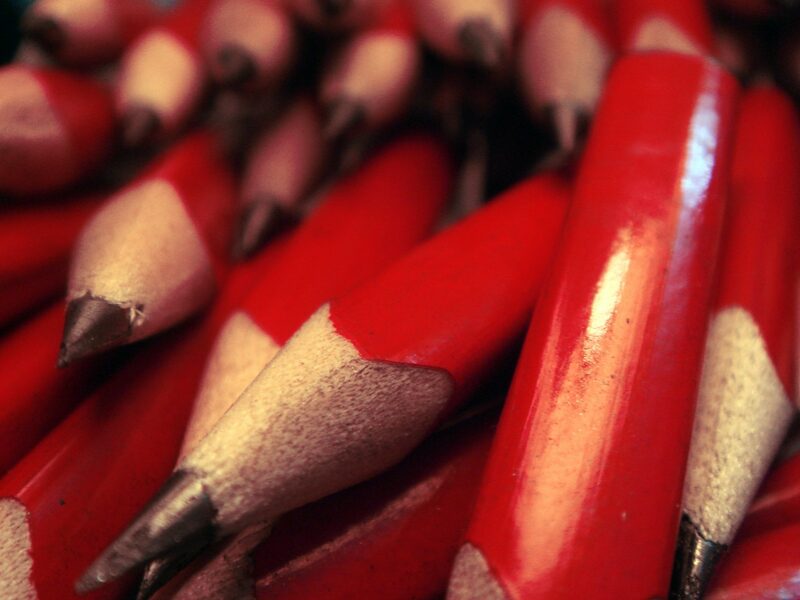 As a result, no amendment has been made to the Spanish Constitution in forty years. This excepts the express modifications dictated by the European Union to cap budget deficit (2011) and to allow the vote of EU citizens in local elections (1992). A reform of the 1978 Constitution requires three fifths of both the Congress and the Senate.